Amongst the great line up of races at Caulfield this Saturday is the $500,000 Toorak Handicap – one of the hardest handicaps in Australia to win each year. This year 18 runners will line up for the judge, all hoping to etch their name into the history books. 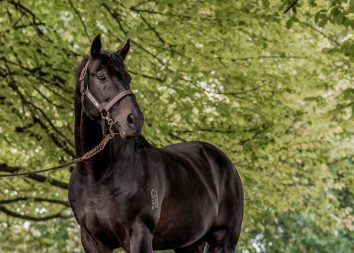 Saturday sees the 10-year anniversary that Waikato Stud bred O’Reilly entire Alamosa added his name to the honour roll. Born in the Spring of 2004, the O’Reilly x Lodore Mystic colt was always a nice, neat colt who if anything was a touch on the small side. Selling as Lot 418 at the Premier Sale at Karaka, he was purchased by the Montego Lodge Partnership of Peter McKay, Kim McKay and long-time client Trevor Luke for $60,000. It didn’t take long for the team to realise he was a good investment, showing above average ability from day one. On the day he turned two (August 1) he bolted in a 650m trial at Te Teko by six lengths. Backing this up a couple of weeks later on a heavy track at Cambridge, he won just as easily. All roads led to Wanganui for the first 2YO race of the season where he was to start a short-priced favourite. Surprisingly he was narrowly beaten here but quickly made amends when winning a fortnight later at Hawke’s Bay. So good was his constitution that Peter McKay kept him in work, going on to win the Listed Wellesley Stakes (ran at Hastings that year) by two lengths. Confirming himself the best ‘early’ two-year-old of the season, he was sent down to Riccarton where after being tardy to begin, he ran second in the Listed Welcome Stakes. Given a short break to concentrate on the Autumn, he quickly kicked off where he began winning a trial at Te Awamutu in late January. He was a little disappointing in the $500,000 NZB Classique at Te Rapa, then picked up an unlucky 4th in the Ford Slipper on Breeders Stakes Day at Matamata. Although beaten again, he looked to be back on track heading towards the Group 1 Ford Diamond Stakes over 1200m at Ellerslie. The general consensus was he was just an ‘early’ two-year-old and didn’t have the class of many of his rivals, and despite drawing the inside barrier he started in excess of 20/1. Given a great ride by Gavin McKeon, he never went around a horse, getting up the inside to win with authority. He then tried to win both 2YO Group 1 races by contesting the Manawatu Sires Produce Stakes over 1400m at Awapuni – again he was underrated and started around $14. Drawing wide on this occasion, he was caught off the track throughout but still ran on gallantly in the straight to finish 3rd. At the end of his two-year-old season, he had eight starts for three wins (including a Group 1) and $174,500 in prizemoney. Those who underrated him again thinking he was just a two-year-old and wouldn’t train on were again made to eat humble pie – he was even better at three. Resuming against the older horses in a Rating 90 race at Taupo, he was in a different league, going on for an easy victory. Next, it was onto the Group 2 Hawke’s Bay Guineas where again he proved far too good for his opposition. He then went to the Group 2 Wellington Guineas and despite being beaten a nose by former Waikato Stud stallion Rios, he was far from disgraced. Again he made the trip back down to Christchurch, this time for the Group 1 2000 Guineas. From the inside barrier, he was given his chance but found The Pooka a little too strong running 2nd and beaten a head. Heading back up north, he justified ‘odds on’ favouritism in the Group 2 Avondale Guineas, making the 1600m feature a one-act affair. At this point, it was decided to take on the older horses in the Group 1 Zabeel Classic over 2000m at Ellerslie on Boxing Day. This was his only unplaced run for the season – in fact, the only time he finished further back than 2nd – but he was far from disgraced beaten under three lengths by the likes of Sir Slick and Xcellent. Returning to his own age group, he was a dominant winner of the Group 3 Wellington Stakes at Trentham over 1600m. Backing up a week late over the same course and distance, he proved too strong for the older horses in the prestigious Group 1 Thorndon Mile. 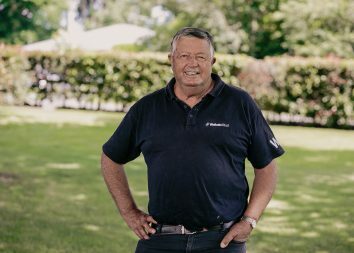 By now he was the hottest property in New Zealand with a number of stud farms looking to purchase him – but he wasn’t finished yet. Despite beating the older horses in a handicap, he still had to ‘tick’ the Weight-For-Age box. Heading to Otaki, taking on his previous conqueror Sir Slick in the Group 1 Otaki-Maori WFA, he was given the run of the race by Michael Walker, going on to win by ½ length. With a record of nine starts for six wins and two 2nds, it was no surprise to anybody that he was named New Zealand Champion 3YO for 2007/08. At the end of his three-year-old year, he was sold to Wellfield Lodge and transferred to the Caulfield stables of Mick Price. He began his four-year-old career with 4th placings in both the Group 2 Liston Stakes and Group 2 Memsie Stakes before an unplaced run in the Group 2 Feehan Stakes – he was beaten under two lengths in all three races. 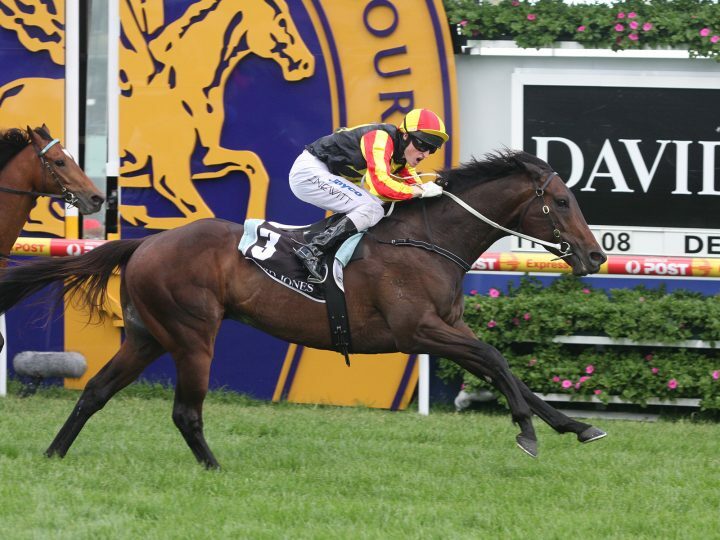 The decision was made to run in the $350,000 Group 1 Toorak Handicap at Caulfield. Ridden by Craig Newitt and drawing wide in barrier 14, he was allowed to find his feet in the early stages, settling back in the field. Off the track coming around the turn, when Craig asked for an effort he exploded, going on for a comprehensive victory, winning by just under two lengths. This win showed he was up to the best horses in Australasia. It was decided to give him his chance in the $3 million Cox Plate but he showed that he wasn’t anywhere near as effective at 2000m than he was at 1600m, finishing 7th. Following a spell, he returned in the Autumn for a 2nd placing to Cox Plate winner Maldivian in the Group 1 CF Orr Stakes and 3rd in the Group 1 Futurity Stakes. He was sent north to Sydney but after two unplaced runs on wet tracks, he was retired to stud. At the end of his career, he had recorded 10 wins (four at Group 1 level) and over $1.2 million in prizemoney – not bad for a $60,000 buy!